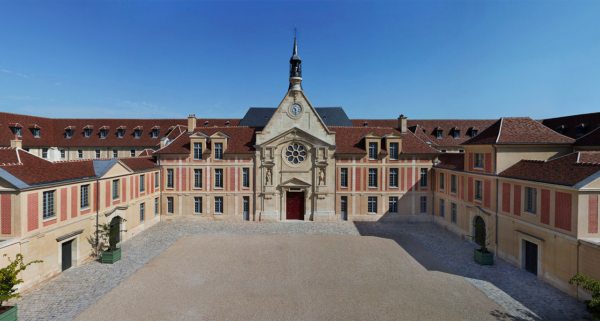 As part of European Heritage Days, Kering is opening up its headquarters to members of the public for the third year running. Read on for a behind-the-scenes tour of an event that blends history, art and creation. “A beautiful shock.” That was what François-Henri Pinault, Chairman and CEO of Kering, felt the first time he laid eyes on 40, rue de Sèvres. At the time he was looking for a new headquarters for his group. 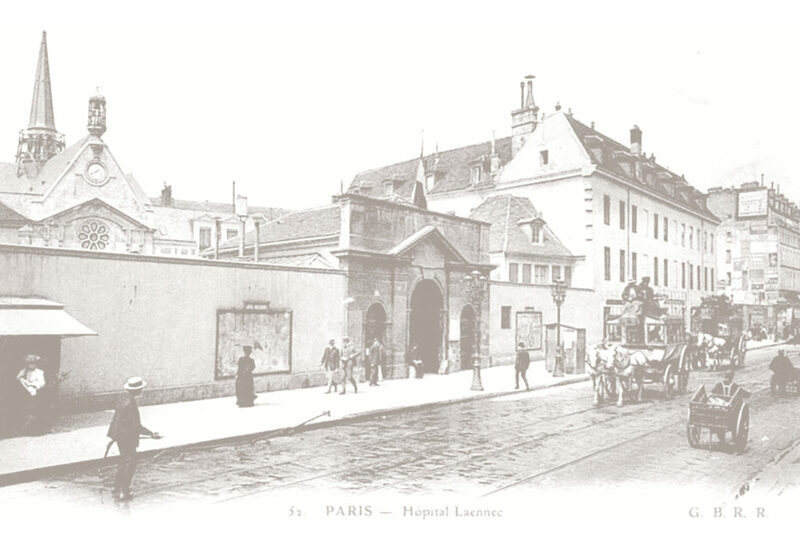 The site was bigger than he wanted, and the required restoration work promised to be long and complicated, but he was won over by the unique qualities of the former Laennec Hospital, an architectural gem located in central Paris. It was decided that Balenciaga, also on the hunt for a new home, would occupy a portion of the space. It took ten years on the drawing board and six years of renovations to restore the complex that comprised Laennec Hospital until 2000. The building was first constructed in 1634, but the constraints and demands of being a hospital had left its original appearance greatly altered. Solutions were found to transform the interior spaces without damaging the overall integrity, taking care to preserve classified and listed portions, such as the central chapel built during the reign of Louis XIII. Under the leadership of Benjamin Mouton, chief architect and general inspector of France’s historical monuments, 40, rue de Sèvres gradually reverted to its original form, recapturing its understated and elegant beauty. Kering was closely involved in the project, taking pains to ensure that its future headquarters excelled environmentally – the site was one of the first classified buildings to be awarded the HQE and BREEAM labels – while also providing its people with a modern, inspiring and vibrant workspace. François-Henri Pinault said that he wanted 40, rue de Sèvres to be open to the world. With this in mind, the Group decided to include its new home as a stop during European Heritage Days in September 2016, barely a few months after its staff had moved in. “It felt very natural to welcome general public, especially locals who had put up with the years of renovations”, recalls François-Henri Pinault. “Our role is to preserve, improve and pass on this piece of Parisian heritage.” From the outset, Kering decided to stage an unusual event. Rather than merely show off the building, the Group sought to set up a dialogue between history and creation, between heritage and contemporary art, by giving visitors the opportunity to admire works from Maison Balenciaga’s archives and a selection of contemporary artworks from the Pinault Collection. The event was an instant hit, with 11,000 locals, Parisians and tourists flocking to 40, rue de Sèvres. The theme chosen for this year’s European Heritage Days – The Art of Sharing – fits perfectly with François-Henri Pinault’s original vision and wishes. 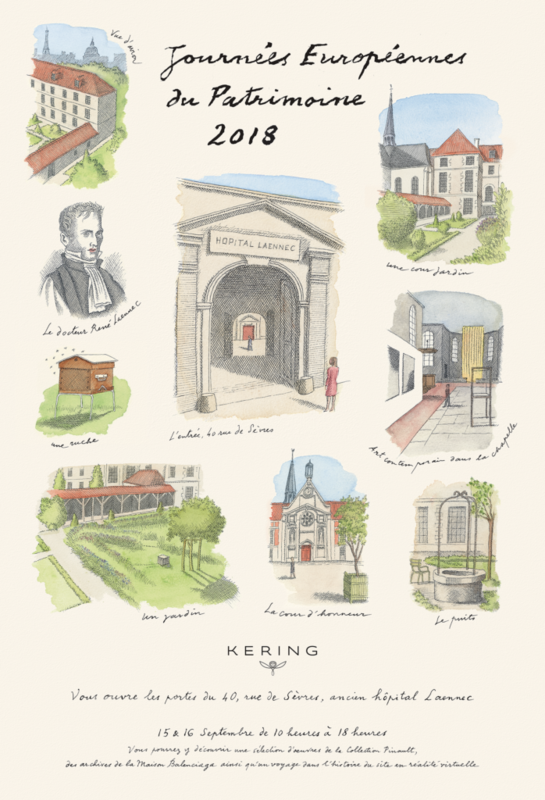 For the 2018 event, which will mark the third time that the former Laennec Hospital has taken part in Heritage Days, Kering is teaming up with French startup Timescope to offer a curious and playful way to learn about the history of this fascinating site. Visitors will be able to immerse themselves in the past through a virtual reality film that offers a glimpse into life at the hospital 120 years ago. Maison Balenciaga, meanwhile, will screen never-before-seen footage from films made between 1960 and 1968 presenting Cristóbal Balenciaga’s haute couture collections. Recently discovered and restored by Balenciaga’s archives department, the films are a priceless historical record. The Reliquaires (Reliquaries) exhibition is another highlight of this year’s event. Illustrating Kering’s determination to foster a dialogue between heritage and modern art, the show is being held in the hospital’s former chapel, and this year’s exhibition once again showcases a selection of works from the Pinault Collection by some of the greatest artists of our time, including Camille Henrot, Damien Hirst, James Lee Byars, Giuseppe Penone, Huang Yong Ping and Günther Uecker. At the intersection between the legacy of the past and contemporary creation, the pieces in the show recall the splendor of the relic collections found in the great Western churches and resonate with a very special object that is being put on public display for the first time: the Heloise and Abelard reliquary chest. Responding to a call from the French Ministry for Culture and Communication, Kering provided patronage to keep this “national treasure” in France. Once Heritage Days are over, the chest, which contains relics and documents relating to France’s most famous lovers of the Middle Ages, will enter the collection of the Ecole Nationale Supérieure des Beaux-Arts de Paris. It is one more example of how Kering is working to nurture a dialogue between history and creation. 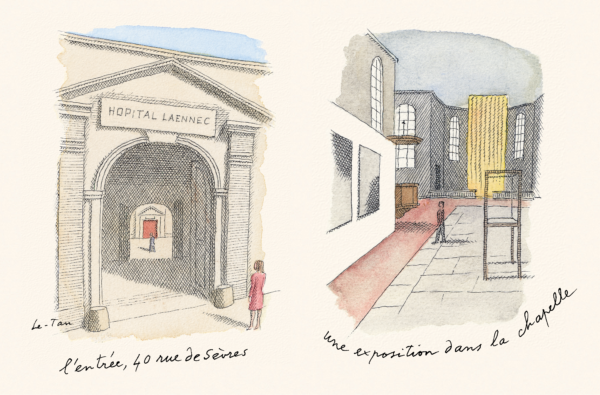 Four years after completing the renovation of the Laennec Hospital, which is now Kering’s headquarters, Benjamin Mouton, chief architect and general inspector of France’s historical monuments, looks back at the challenges posed by a very unique project. This September, as part of European Heritage Days, the chapel at 40, rue de Sèvres in Paris is hosting Reliquaries, an exhibition of works from the Pinault Collection. 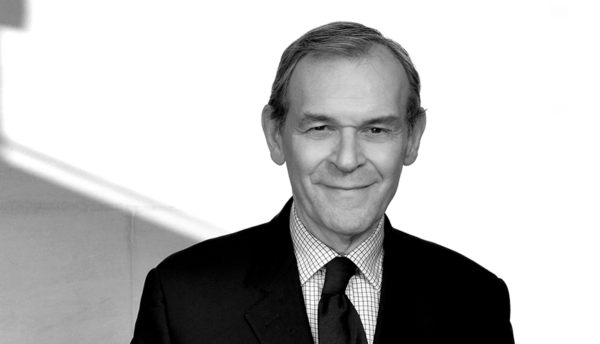 Jean-Jacques Aillagon, former French Culture Minister and Managing Director of the collection, talked to us about the origins of the show.